It can be so easy to be down on yourself because you see all these people on social media living these “perfect lives” in boxes on Instagram. You were made different, you were made to create YOUR own path, not someone else’s. Limit constantly scrolling through social media and comparing yourself to other people. They only show the good, it’s not always greener on the other side. I think it is so important to celebrate your wins whether it be for the hour, the day, the week, the month, etc. CELEBRATE! It’s so easy to get caught up in working, working, working towards the next best thing but it’s so important to take a step back, reflect and be proud of where you are standing right now in whatever circumstances you are in. Stop living in fear of what other people will think of you. Do what you believe is right and pursue what makes you happy and the people who matter most will understand and accept it. Whoever has something negative to say or thinks badly of it, cut them out of your life. No one needs that negativity. It will only hinder you from becoming the best version of yourself. I see so many people who have these interests and passions that they want to pursue but don’t make time for them. You make time for what is important. Make a list of your priorities and make time for your hobbies, it not only enables your creativity but can help clear your mind and allow you to be happier. Express yourself through whichever outlet suits your best. For me, journaling, designing and crafting are all things I make time for. Work with what ya mama gave ya! 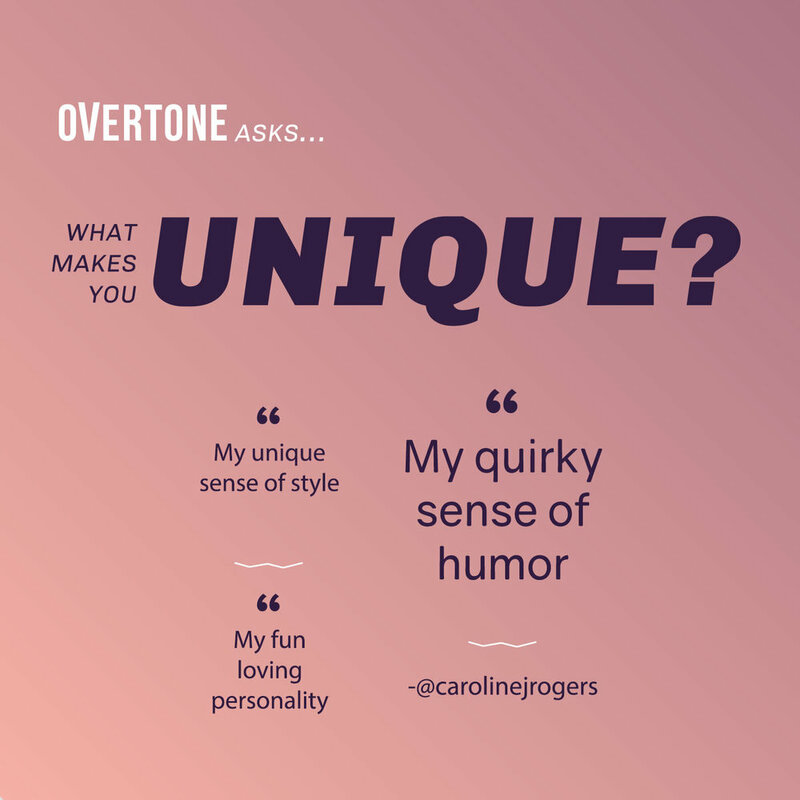 If you have a quirky side like myself, own it! It is a part of what makes you YOU. I am one of the goofiest people you would probable meet and I am proud of it. It keeps the childlike freedom and giddiness alive and well my friends. What experiences have made you who you are today? Accept them and allow them to propel you forward! The most important thing that has shaped who we are is what experiences we have dealt with. Some amazing and some horrible, but I always try to stay positive and find a silver lining within every situation no matter how bad it may be. Your story is unique, your story matters, YOU matter. Embrace each and every experience you GROW through and take the lessons with you to move on to new and better experiences. What are your talents and skills? Keep learning and pursue them! Your talents and skills make you unique. It is an ongoing process to keep learning about yourself and pursuing your gifts. For me, I am constantly learning more about graphic design, writing, and marketing as I consider those to be skills I am good at so I always want to better myself. Anyone who knows me personally knows I have a quirky sense of humor that just randomly comes out to play. It makes me so happy when I can put a smile on someones face or make them laugh. My sense of style is also another way I embrace my uniqueness. I don’t follow any specific trend and I love to mix match styles. One day I could be in a boho chic mood and the next day be in a laid back and sporty mood. My fun loving personality is also something I am very proud of. I always chose to see the positive in things and be optimistic as that has been one of the top aspects of what has gotten me through some of the hardest times of my life. Lighthearted, spirited and always looking for the silver lining! 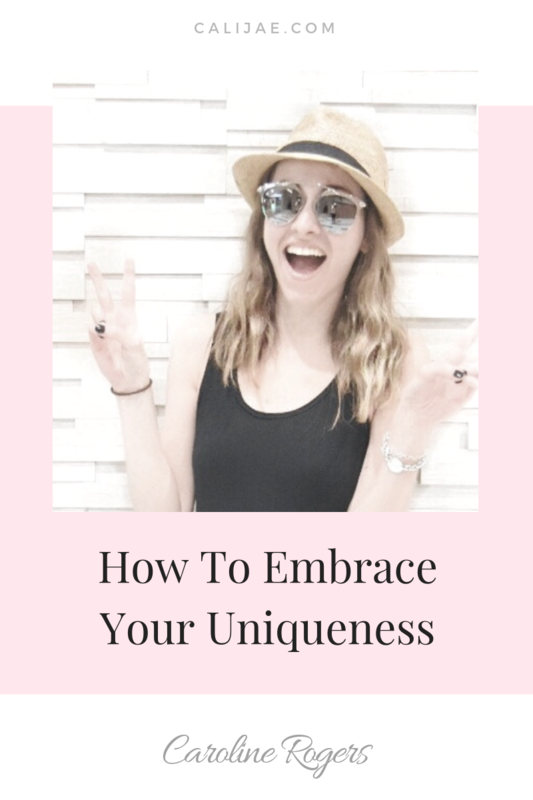 Comment below and tell me what makes you unique and how you embrace your uniqueness!